This contemporary and restrained rear extension to a period property within Bournville Village in Birmingham is due to start on site shortly. The project was granted planning approval and consent from Bournville Village Trust. 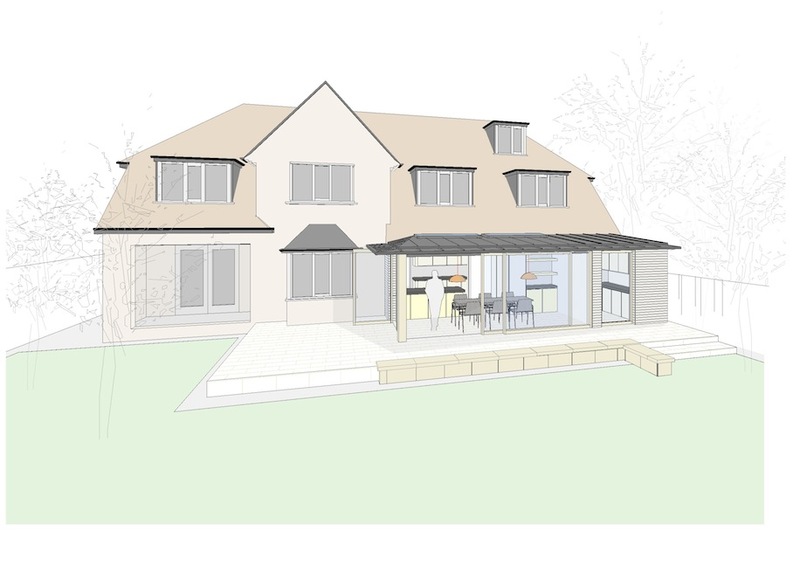 The extension will house a kitchen, breakfast room and family room overlooking the garden. A stone terrace and seating area will be introduced directly outside the new space creating a natural flow to the rear garden. Floor to ceiling glazed doors with a ‘floating’ dark grey metal roof and glazed ‘slot’ rooflights help integrate the new with the old, as well as the exterior.